Manchester United were denied all three points against an abysmal Arsenal side, courtesy of a late goal from Olivier Giroud, after Juan Mata gave the home side the lead in the 69th minute. United dominated the majority of the first half, and were almost rewarded for their pressure with a penalty; however, referee Andre Marriner waved away the strong claims from the home side, after Nacho Monreal seemingly brought down Antonio Valencia in the box. The first half lacked any real chances, but United went closest through Juan Mata and Anthony Martial late on in the opening 45. Mata forced Petr Cech to save down to his left-hand-side, and Martial also tested the Arsenal keeper with a curling effort. United picked up where they left off in the second half, and took the lead 20 minutes from time through the aforementioned Mata. Paul Pogba picked out Ander Herrera on the right-hand side, and the Spaniard found his compatriot with a precise cutback. 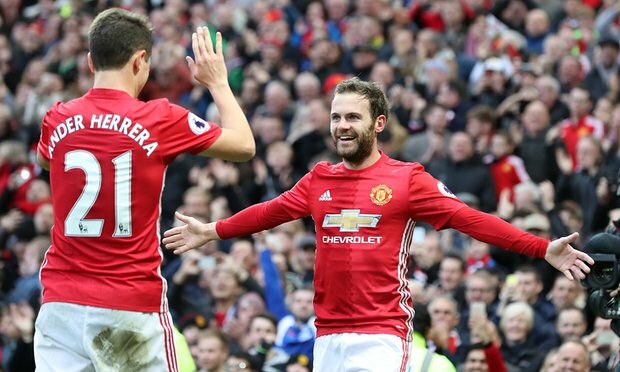 Mata dispatched the chance in style, giving the Reds a deserved 1-0 advantage. Despite their dominance, United were left ruing missed chances in the final moments of the game, as substitute Olivier Giroud equalised for the Gunners with a header at the far post. It was an all risk, no reward performance by José Mourinho’s men, and they will feel as if they did more than enough to take all three points. United can take plenty of positives from the game, but only a point as they look ahead to West Ham next weekend.